Why is South Kolkata Best for Top Residential Projects in Kolkata? Most of the times, we are suffering from indecision concerning which area to pick when purchasing a home. Today, as there is an extensive variety of residential choices, consequently the perplexity becomes recurrent. For instance, if you are searching for a residential project in Kolkata, the main thing that will strike is the area, which assumes a critical part. 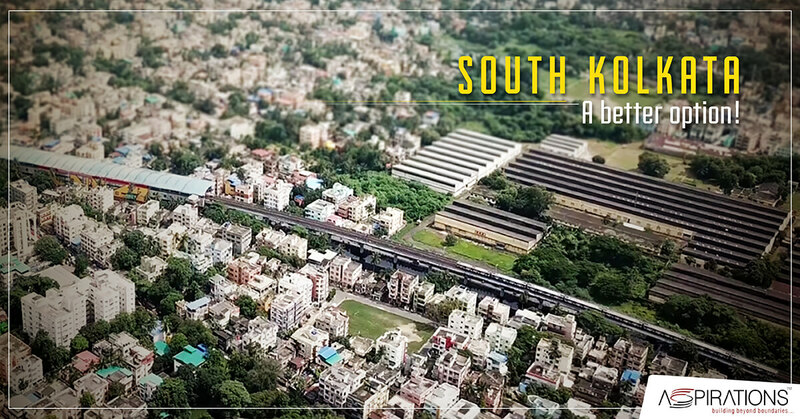 South Kolkata is well attached to all corners of the city. As a homebuyer, what stands more important is the prospect of connectivity with possibilities of exploration. The demand for getting hold of a home at the South is relatively higher than other fringes. The place can be simply reached from the central part of the city like Dharmatala and Sealdah through frequent buses, metros, and Aspirations has its new flats in South Kolkata with a top-notch living environment, connected by major thoroughfares like Hazra Road, Lake Road, and Rash Behari Avenue. South Kolkata is a place that caters to people from different strata of lives. While Lake Gardens, Kasba, Jadavpur and Santoshpur are extreme posh areas, places like Baruipur and Taltala serve all kinds of people. Ballygaunge a balanced area in south Kolkata with a plethora of eminent educational establishments and legitimate business framework. Ballygunge is frequently favoured by the young groups of Kolkata who are searching for their family home. If you are planning to afford a luxury building in Kolkata, the South is always an open option. South Kolkata is not so much congested but rather more modern when contrasted with whatever is left of the city. It is a host of exuberant lifestyles. One gets the scope of enjoying facilities from Tollygunge Club and Royal Golf Club Calcutta; indulge in the service of being a bookworm by enrolling in the hereditary National Library and Ramkrishna Mission; visit the CIMA Art Gallery and Birla Industrial and Technological Museum; and more interestingly, you have the very own Alipore Zoo as if at your doorstep! Engage in the splendour of living with Aspirations top residential projects in Kolkata and our projects at the South will never fail to encourage you!